A well-designed, attractive driveway provides easy, convenient and secure parking, as well as adding value to your home. 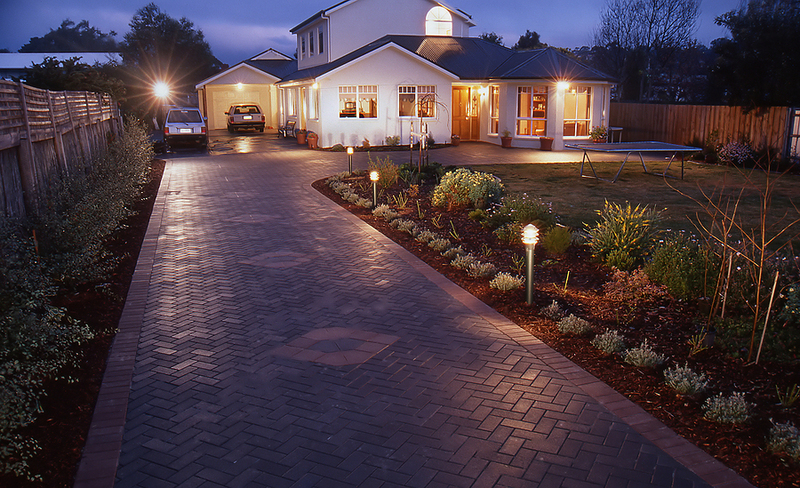 A good driveway gives your home great kerb appeal and creates a great first impression for visitors. It’s not all about good looks: propper preperation, quality materials and sufficient drainage are essensial to keeping those good looks for years to come, remaining resiliant to the weather, and daily use by people and vehicles. Block paving for driveways is a popular choice due to the almost countless different designs that can be created to suit and enhance each individual property’s appearance. The use of quality materials and correct preparation is required to ensure not only an attractive, but also a long lasting and hard wearing parking area. If properly installed, block paving is easy to maintain and repair. If access underground services are ever required; it’s easy to reform by just replacing the existing blocks leaving no trace of any repair or disturbance. Tarmac driveways are generally a cheaper option for a new driveway. Coloured kerbstones or a coloured brick edging give tarmac drives character and enhance the ‘kerb appeal’ of the property. Red tarmac driveways are becoming increasingly popular. Tarmac driveways are quick to install and hard wearing but are harder to create invisible repairs is access to underground is ever required. Pattern imprinted concrete driveways offer unlimited design combinations of colours, patterns and textures to compliment your property. Concrete driveways are low maintenance, weed free and stain resistant. Consideration does however need to be given if access to underground services are ever required. Pavers are slabs of various concrete or natural stones such as sandstone. Paved driveways can be created in many designs and colours. Proper preparation is essential if a paved driveway is to remain looking good, and some materials are extremely hard wearing and will compliment your home for many years.